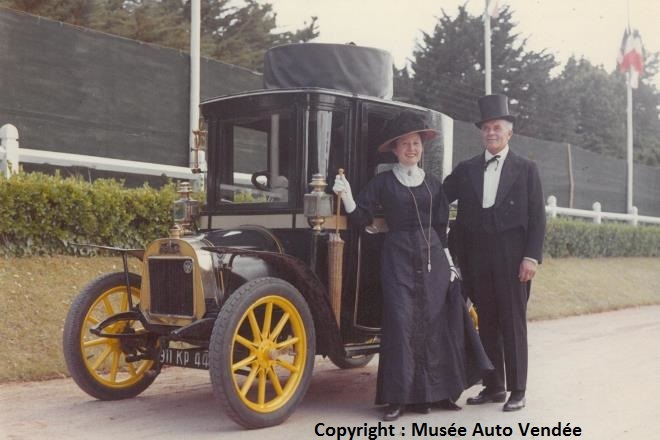 The Musée Automobile de Vendée stemmed from the enthusiasm of a man, my own father Gaston GIRON, who devoted himself along his life to the Automobile and engineering, an anthusiasm he shared with me when I was still very young. 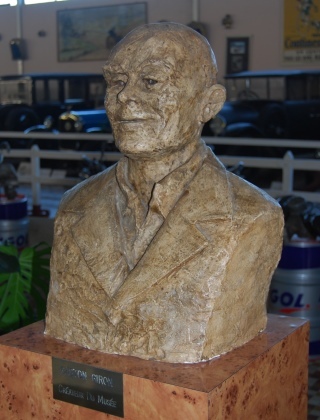 Born a few years after the birth of motor car, he started his professional life as an apprentice with a workshop devoted to engineering and machining. 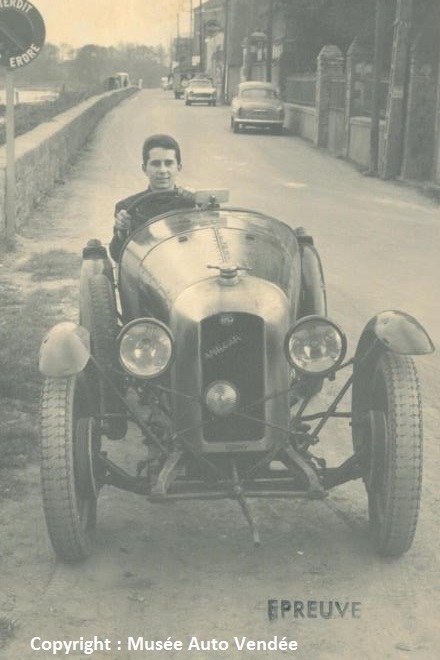 In 1929, at 25, he set up his first garage situated at St Pierre du Chemin in the District of Vendée and got soon a dealership for Automobiles Mathis. In 1936, he went to Paris to specialize in trading second hand cars and mainly the "car of the day", the Citröen traction avant. 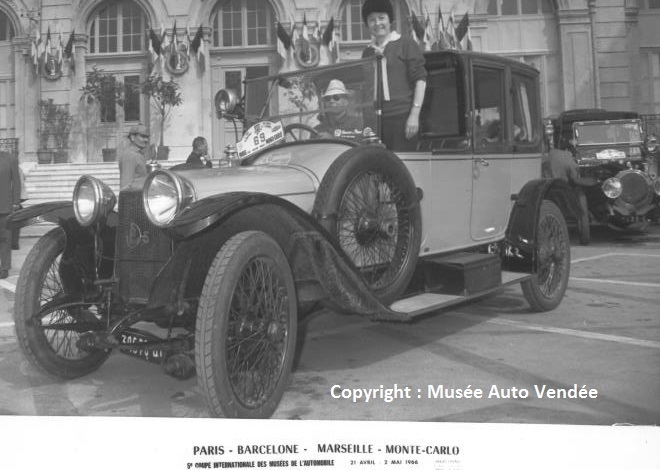 At the beginning of 1939, he bought a 1910 Peugeot Lion to prevent this nice little car to be scraped off by one of his colleagues. 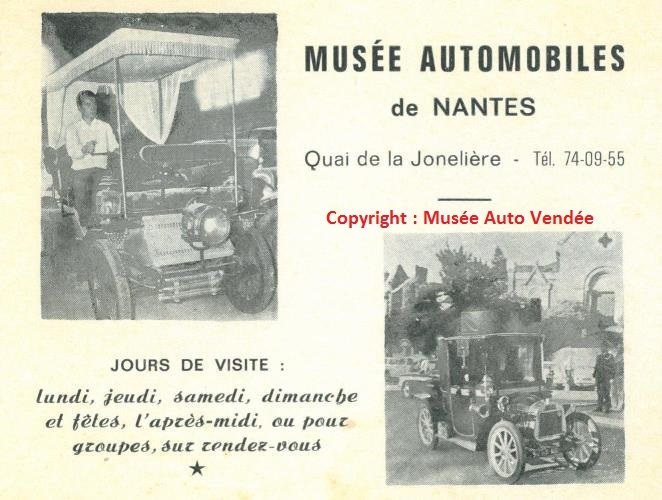 In 1950, back to Nantes, he started again to drive the little Lion just for fun with some friends, but as he had some space he began to collect more and more of these old cars of which as a child he had often dreamed. At the time, he just stored them under some makeshift shelters around the family house. As these cars were often in very poor condition, he began to restore first the oldest and the worst machines during his free time. It was to be hard work sometimes, but what a bliss when an old machine came back to life, usually followed by some tests around the garden. 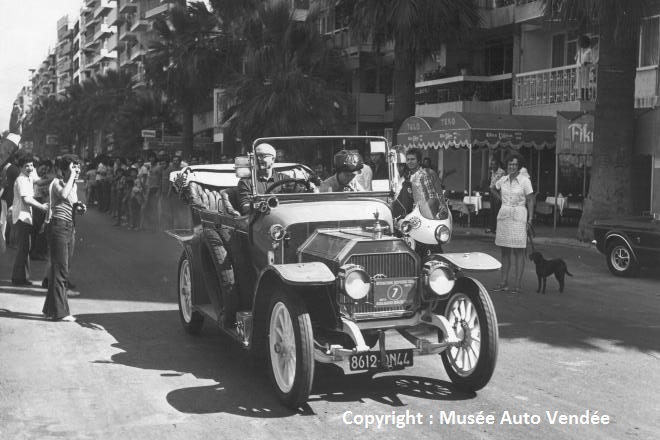 In 1967, at Spring, we openend to thepublic our first museum with thirty cars. Then with collecting activities, growing raapidly and having found an adequat piece of land, the whome family moved back to Vendée in order to open a proper museum here at Talmont Saint Hilaire, near Les Sables d'Olonne in April 1976. We had eighty cars on display at that timme. It was meet growing success. Until today, expansion took place allowing us to display now 150 vehicles: motors cars, motorcycles, cycles, engines, along with an important collection of old posters. 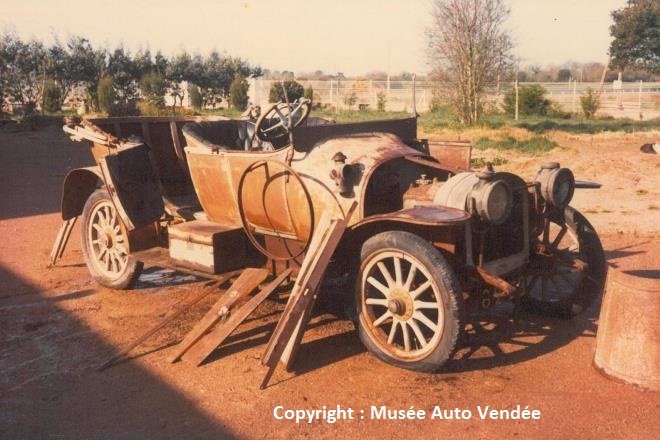 Now the Museum houses 45 different makes, ranging from 1885 steam-engined De Dion Bouton to modern and advanced prototypes just arived from Italy like the Sogna and Vera one-off cars. Each year, three or four "new" old cars join the Collection on display, coming from the reserve stock after having undergone a complete restoration in our workshop during the Winter months.